Hey everyone! 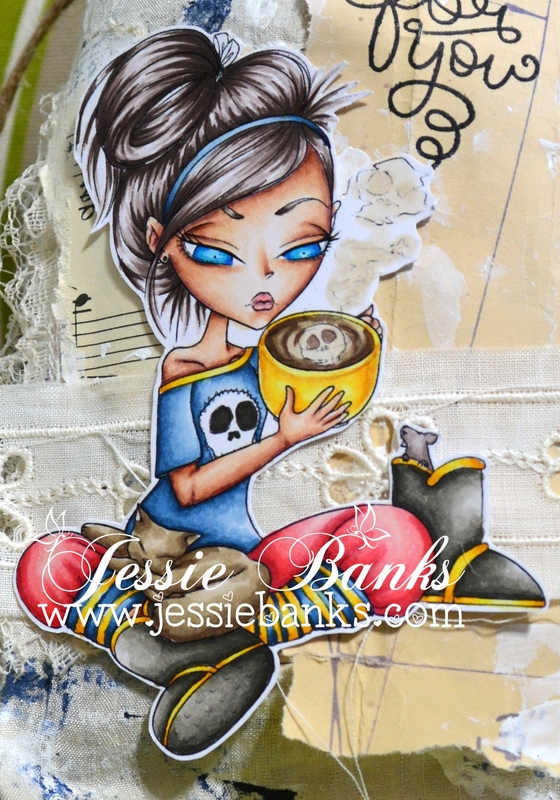 Today I have something a little different for you all! 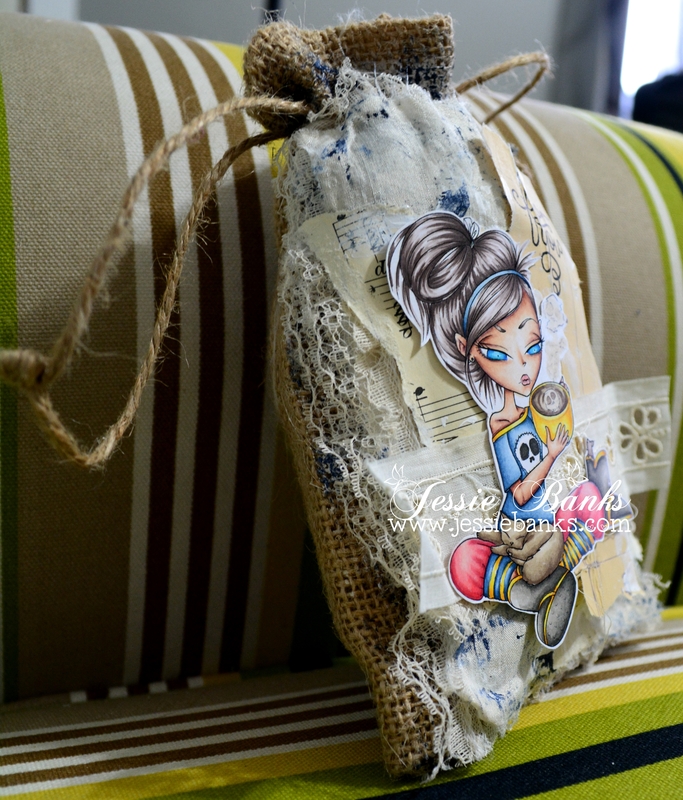 I have a burlap bag that would be great to house some coffee beans for a coffee lover you know! The Image I used is The East Wind Morning Coffee. I coloured her up with my copic markers. I have a speed colouring video for you! For the bag I used some white gesso and some Golden Heavy Body Acrylic in Paynes Grey, an old handkerchief for my back fabric layer, some music note paper, and antique ledger paper. 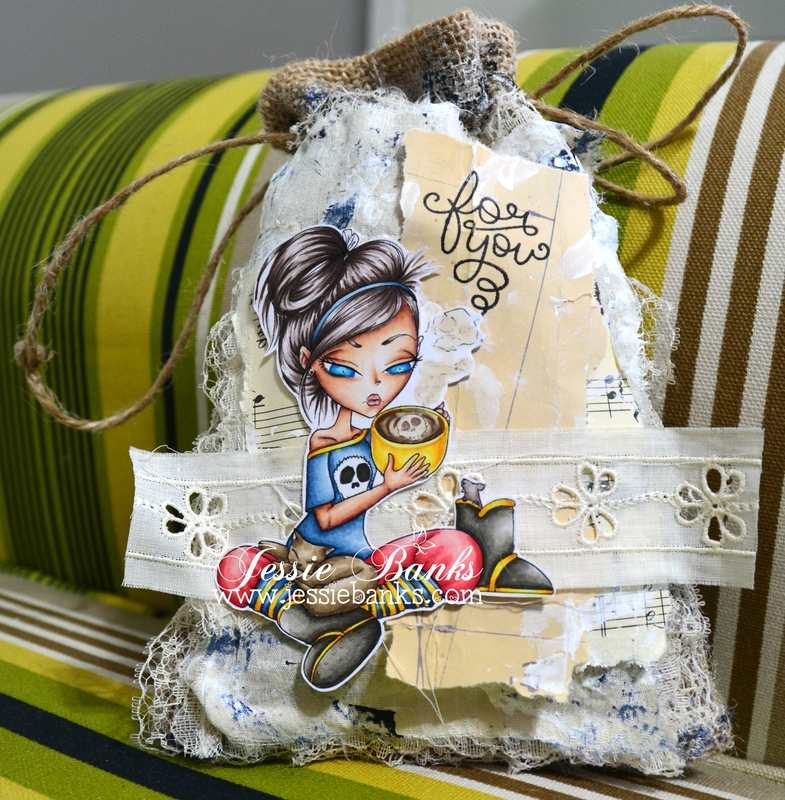 Laces from my stash and a sentiment from Lawn Fawn’s Love You A Latte finishes off the burlap bag.